Congratulations are in order to 42 Entertainment and all of the staff involved in the alternate reality game ‘Why So Serious?’ for taking home the coveted Grand Prix Award at the Cannes Cyber Lions ceremony on Wednesday, June 24. According to an article by Ed White, Lars Bastholm, the Chief Digital Creative Officer at Ogilvy and president of the Cyber Lions jury, noted that the ‘Why So Serious?’ campaign “aggregated the elements of the Batman cultural phenomenon with an ARG, and added that the 18-months build-up prior to the film’s launch heralded a welcome trend in brands taking more time to create deeper relationships with consumers.” The article notes that fellow juror Bram De Rooij noted the underlying metrics supported the campaign’s success. 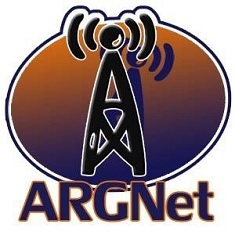 Congratulations again to the crew, which included Steve Peters, the previous owner of this website, ARGNet staff writer and frequent ARG Netcast panelist Brooke Thompson, and former ARGNet contributor Krystyn Wells. My congrats to 42 Entertainment! Why was’nt there a congratz when Company P with “The Truth about Marika” won a emmy? Feeling kinda selective ARGN? Bravo! Congratulations to all those involved in creating the ‘Why So Serious?’ campaign. T: While we try to report on as much ARG-related news as possible, sometimes stories slip between the cracks for a variety of reasons. Feel free to use our Contact form if there’s a story you think might be of interest to our readers.